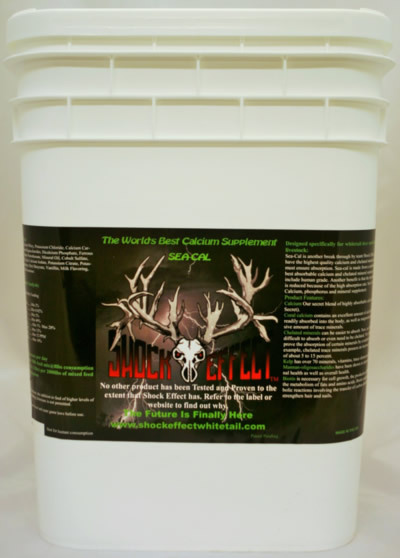 A product of years of carful design and testing, Shock Effect Antler Maximizer Powder is an all-natural nutritional product. Our proprietary, low temperature process does not destroy the amino acids, enzymes and bacteria vital to the product’s effectiveness. Why is that important? The normal pelletizing process creates heat when manufacturing the pellets. The heat damages the amino acids, enzymes and restricts you to a few bacteria strains. Our system allows them to survive the process. 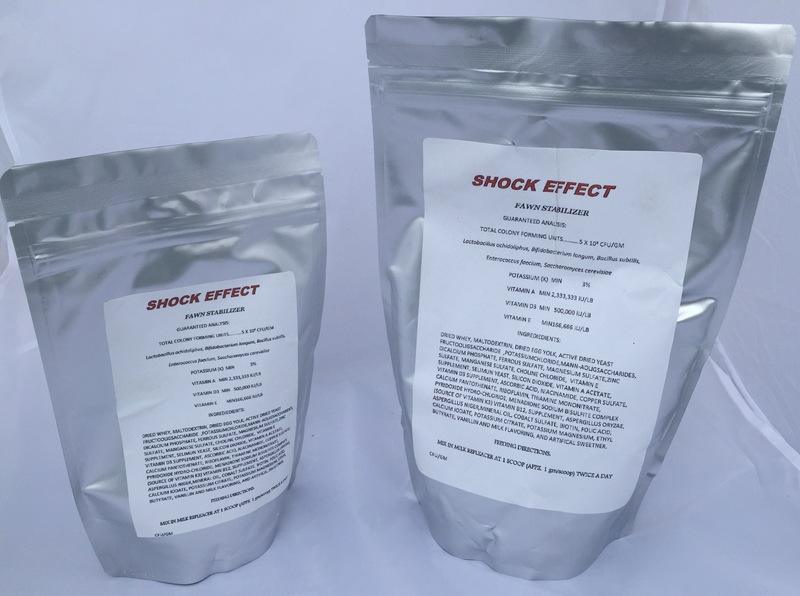 Shock Effect Antler Maximizer Powder is designed specifically to support antler growth and help maintain overall body condition. The Antler Maximizer's secret is in the Micro-encapsulation process. It helps the bacteria survive the whitetails harsh digestive system. The combination of our beneficial bacteria, amino acids, enzymes, vitamins, minerals, kelp and yucca schidigera supports digestion and absorption of nutrients from the feed. When it comes to antler growth it’s all about blood flow. Our blend of amino acids and other key ingredients are designed to assist in maintaining blood flow to and in the antler tissue. We have designed this powder to be used in conjunction with a quality supplemental feed program. Coral Calcium/Chelated Mineral 5 lb.